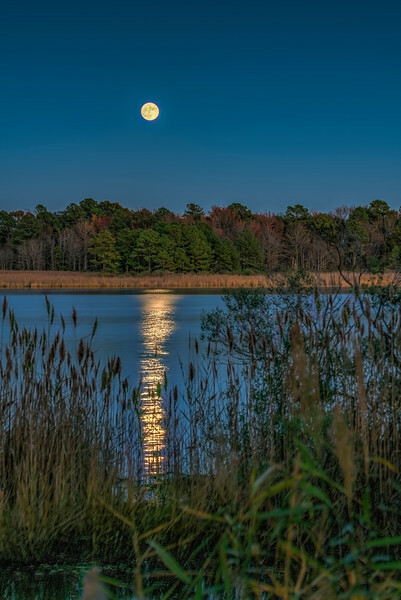 Super moon when we were visiting Maryland on the east side of the Chesapeake Bay. Towards the end of Huntingfield Road. This was the night before the full moon. The full moon night was socked in with clouds.